We sure love our plastic. Americans now owe more than $1 trillion in credit card debt. You know what we don’t love, though? Those sneaky credit card fees. It’s annoying when credit card companies add fees on top of the hefty interest they’re already charging us. They’re required to disclose these fees, but this information is often tucked away in the fine print of your super-long, super-boring credit card agreement. Don’t let your plastic get the upper hand. Here are some common credit card fees and how you should handle them. Lots of rewards cards charge a once-a-year fee to pay for the benefits that come with the card. These fees typically range from $25 to $500. Luckily, plenty of cards don’t have annual fees — and still offer sign-up bonuses and cash rewards. Here are six of them. One is the Chase Freedom Unlimited card. Its claim to fame? You’ll earn an unlimited 1.5% cash back on all your purchases. Plus, if you spend $500 in your first three months of opening the card (hi, groceries), you’ll pocket a $150 bonus. Is a card with an annual fee ever a good deal? Here’s our primer on how to tell. Basically, the rewards you earn from the card should add up to more than the annual fee. When you make a purchase in a foreign currency, many cards tack on a surcharge of 2% to 5% of the price. This is supposedly to cover the cost of converting foreign money to U.S. dollars, although we all know this is done by some computer algorithm and they don’t really need to charge you 5%. 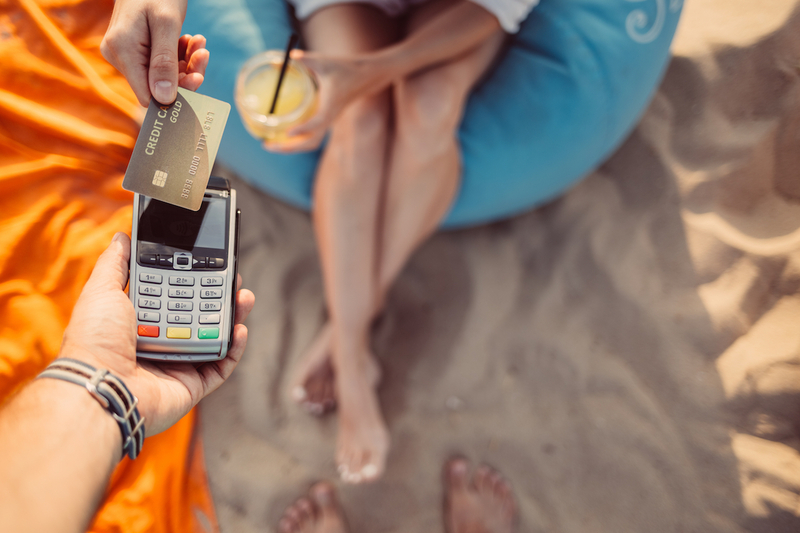 If you’re traveling overseas, look for a card that doesn’t charge this fee. If you do get charged, ask customer service to waive the fee. Threaten to switch to a card that doesn’t charge foreign transaction fees. If you can, it’s usually a smart move to shift your debt from a high-interest credit card to a card with a lower interest rate. It can save you hundreds of dollars in interest. To do this, the new card will typically charge you 3% to 5% of the amount you transfer. Many cards will tempt you with a 0% interest rate on balance transfers for a year or so. You’ll have to do some back-of-the-envelope math and guestimate whether the money you’ll save on interest will make up for that balance transfer fee. Pro tip: Don’t use your credit card like a debit card. You pay this fee when you borrow cash against your credit card — like when you use your credit card at an ATM to tap into your credit line and get some immediate cash. Many cards charge you an up-front fee of 4% to 5% on the cash you’re borrowing. They also charge way higher interest rates on cash advances compared to regular purchases. And if you make the minimum monthly payment on your credit card, they’ll apply that payment only to your purchases, not to advances. So your high-interest cash advance will linger like a persistent hangover, sucking up money. If you’re getting cash advances regularly, look for cheaper ways to get the cash you need — like a personal loan. Credible is an online marketplace for personalized loan offers. Rates start at 5.99%, and you can check yours by entering a loan amount here ($500 to $40,000) and comparing your options in under 90 seconds. If you really need cash in an emergency, the best option is to pull it from savings if possible. Try starting an emergency fund with Stash, an app that automatically pulls a little money from your checking account each week and can help you invest it. Stash has a neat feature called Smart-Save. It calculates when you’ve got cash to spare, then saves a small percent of it. You can adjust your savings rate and withdraw at any time. Perhaps the best part is all savings in your Stash account will earn interest. Sign up with code PENNYH and turn Smart-Save on today and Stash will give you a $5 bonus to kickstart your savings. If you don’t pay attention to your credit card statements, it can get costly real quick. Late payment fees: If you don’t make your minimum payment by the due date, your card will charge you a fee of up to $25 — or more if you’ve been late previously in the past six months. If you call your credit card company, you can typically get this fee waived the first time you’re late. Returned payment fees: This is basically a bounced-check fee. If there’s not enough money in your checking account to cover your credit card payment, your card will charge you up to $35. Make sure there are enough funds in your account before a payment goes through, or you’ll just end up paying more. Over-the-limit fees: If you spend too much on your card and go over your credit limit, you can be charged a maximum of $35. This used to happen more frequently before a 2009 law started requiring card holders to opt in for the ability to exceed their credit limit. If you don’t opt into this, your purchase will just get rejected at the register — a little humiliating, maybe, but not expensive. Mike Brassfield ([email protected]) is a senior writer at The Penny Hoarder. He has paid too many late fees in his life.